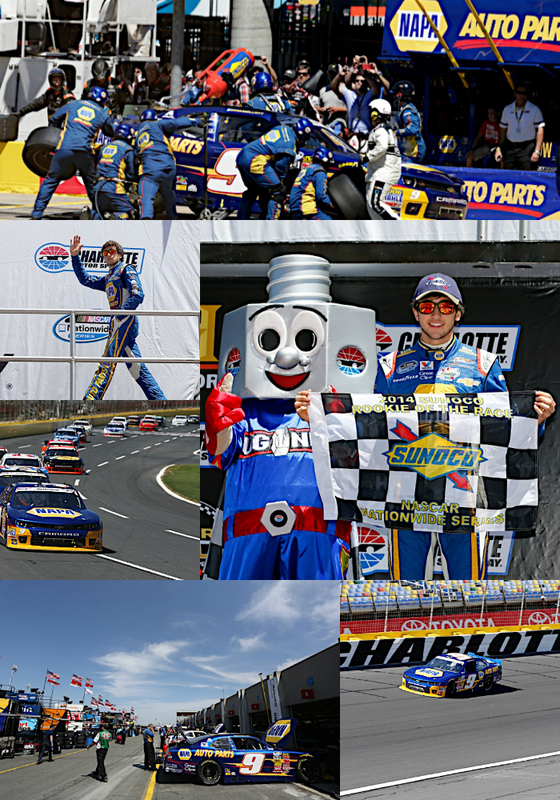 Charlotte, N.C. (May 24, 2014) – Chase Elliott, driver of the No. 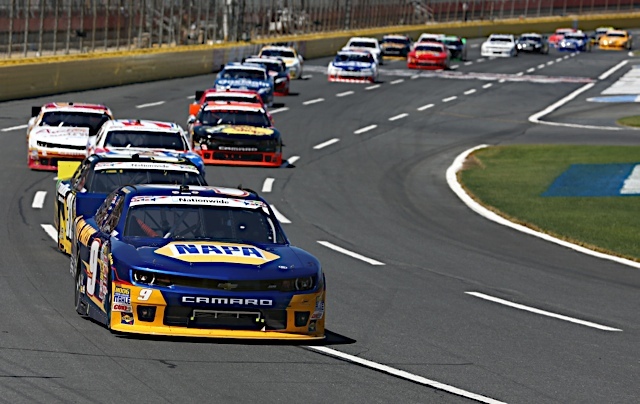 9 NAPA AUTO PARTS Chevrolet, finished 37th after a mid-race incident in Saturday’s History 300 NASCAR Nationwide Series race at Charlotte Motor Speedway. 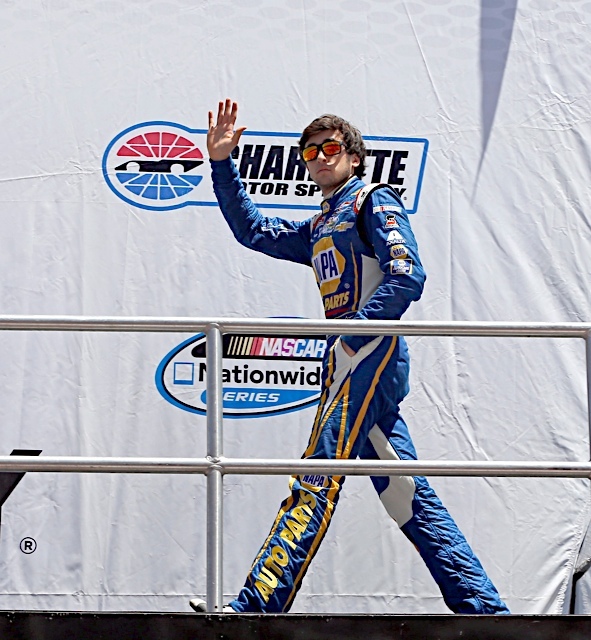 It resulted in Elliott falling to third place in the series point standings. 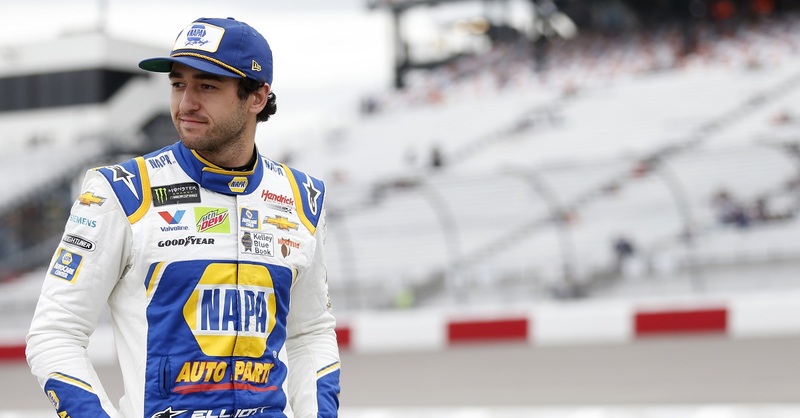 He is now 28 points behind JR Motorsports teammate and new leader Regan Smith and 23 points behind second-place Elliott Sadler. 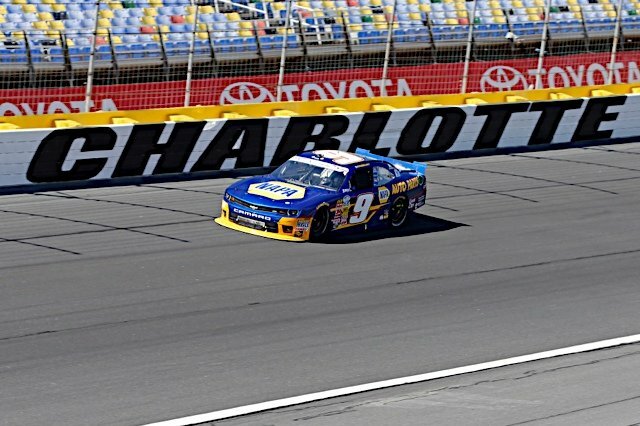 Starting ninth, Elliott battled a tight race car early, which required attention from the crew to help remedy the handling problem. Elliott’s inability to turn the car through the corners was most evident in turns three and four, the crucial turns that help propel the car down the tricky front stretch. 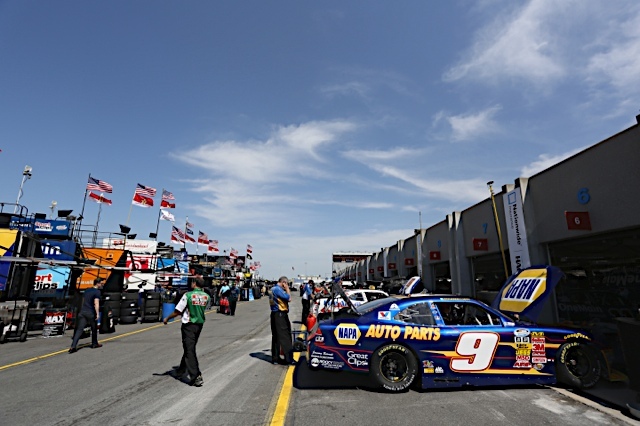 When the first caution fell on lap 25, crew chief Greg Ives made an air pressure and chassis adjustment to help give the NAPA machine a little more handling. 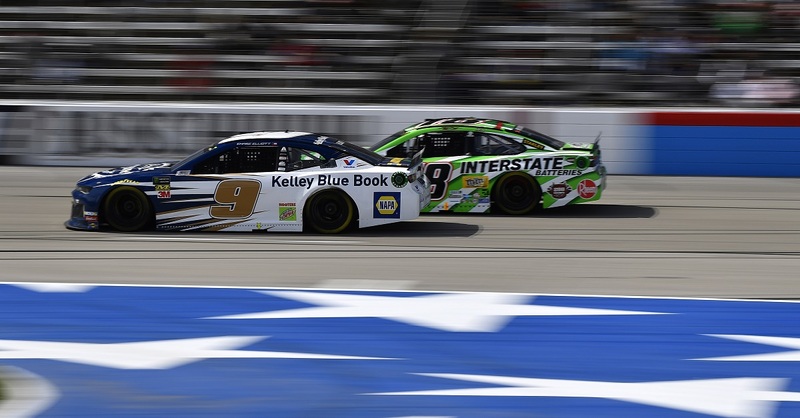 The turning point – and an unfortunate one for Elliott – came on lap 88 when a parts failure occurred in the right front suspension, jarring the race car directly into the wall. 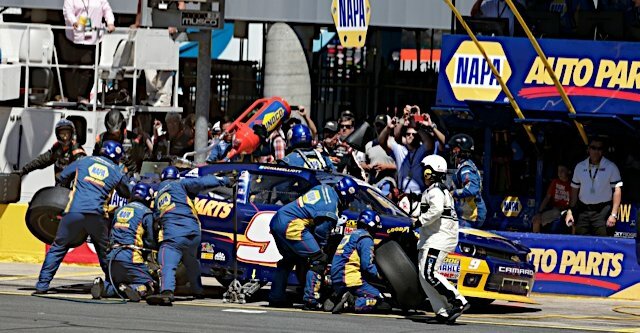 The damage sustained in the impact was extensive enough to send the NAPA 9 into the garage for repairs. The team worked diligently for 26 laps to repair the car and get Elliott back to salvage all remaining points possible. Kyle Larson won the race to score his second victory of the season. 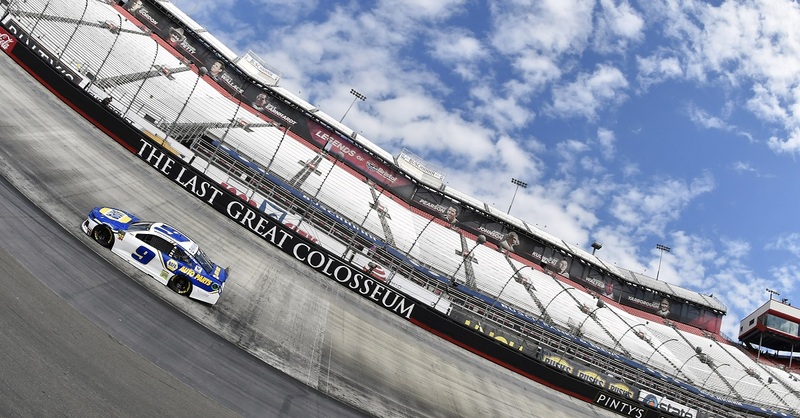 Brad Keselowski, Kyle Busch, Kevin Harvick, and Brian Scott rounded out the top-five. 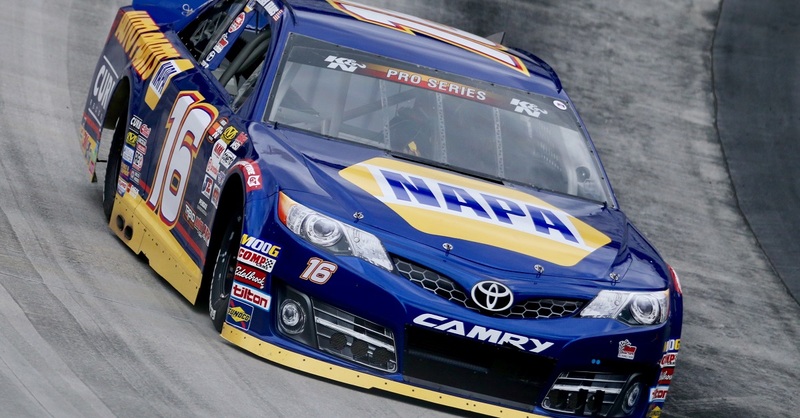 Smith finished seventh, which was good enough to take the points lead away from Elliott.